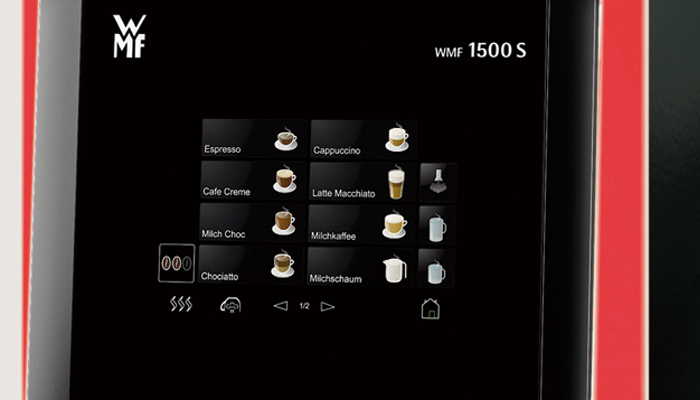 The WMF 1500S is a medium volume super automatic coffee machine, which produces real espresso-based speciality coffee beverages, at the press of a button. It is recommended for a daily volume of 180-200 beverages and features all of WMFs industry leading technologies and more. 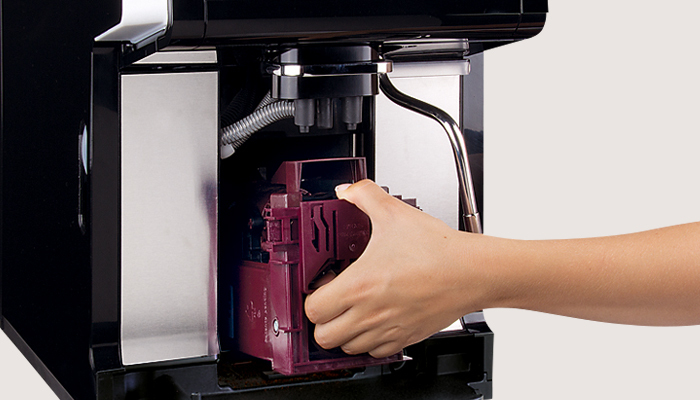 A versatile unit with modular componentry, the 1500S excels in a multitude of environments. 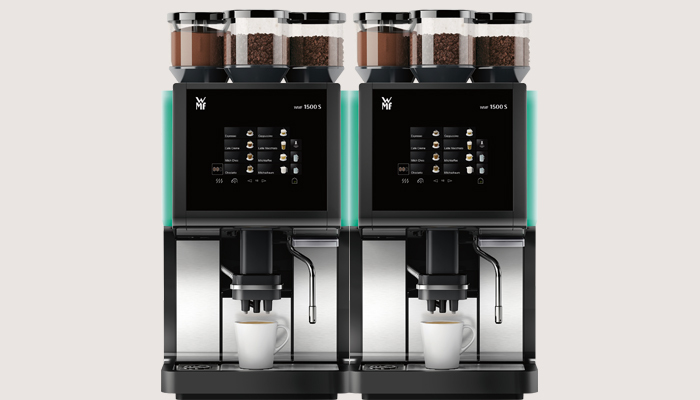 Whether it is an up market hotel bar, the QSR / Convenience environment or the corporate office block the WMF 1500s is the machine for your needs. 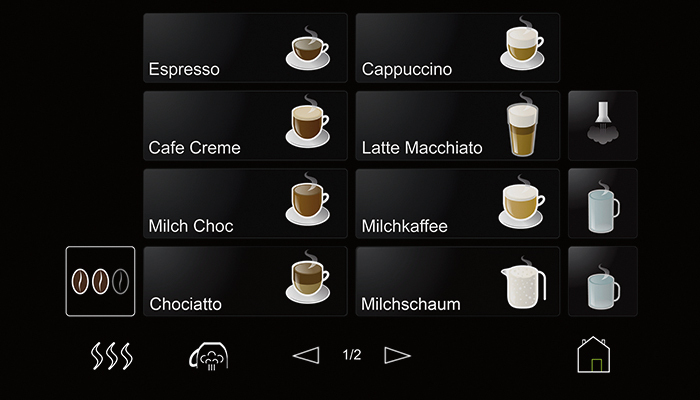 With the Dynamic Milk System add-on, preparing the latest trendy specialities such as cold milk foam beverages, is just as much child’s play as creating the classic latte macchiato or cappuccino. 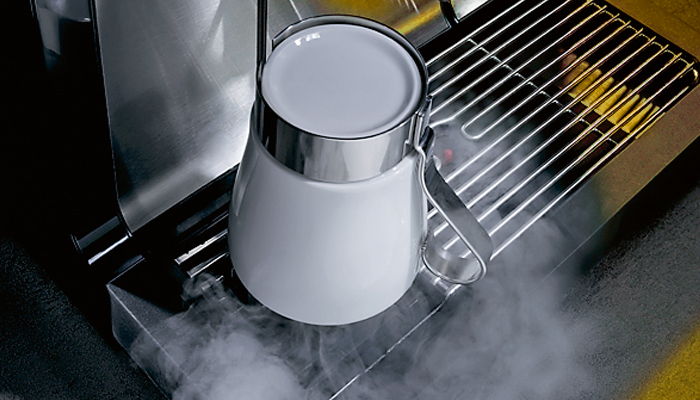 Above all, the WMF1500S puts the yummy factor into gastronomy. The WMF Plug&Clean fully automated and HACCP certified milk cleaning system. 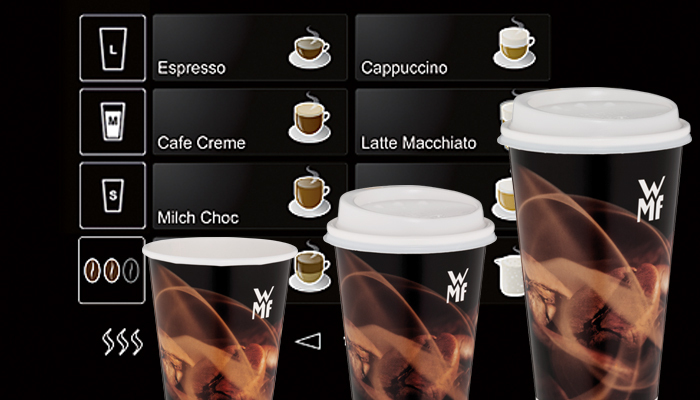 A brandable 8″ touch display for individualised menu settings, instructional cleaning animations. Independent brewing parameters for each coffee hopper. Self aware system with customisable visual alerts and animations displayed to demonstrate solutions.